Here you can find different kinds of electric motorszed bicycles. From smallest foldable lightweight for everyday commuting till powerfull offroad machines for full adrenaline ride. Choose the electric bike that fits your life style. Please pay attention, single bikes come with fixed specs as described and our logo. For bulk orders we can customize logo, components and design according to your requirements. 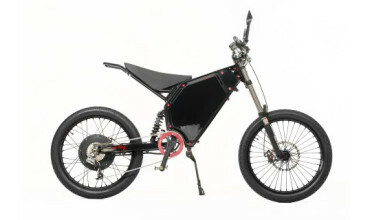 TDN26X4.0 EN-02 Fat tyre E-BIKE Frame material Aluminum alloy ..
Frame material Aluminum alloy Motor 48v 1000w hub motor ..
Electric bicycle EEB Adrenaline is a tool for getting fun from active lifestyle.Silent ope..
Electric bicycle Enduro Stayer is a long-distance runner.This is an electric bicycle, whic..
Electric bicycle EEB Adrenaline FAT is a tool for getting fun from rides on the sands and ..
Blue Marlin is Top level fat tyre electric bike with mid drive Bafang motor and Gates carbon belt dr..